Apple’s iPad continues to dominate the tablet industry – both with general consumers and enterprise users alike. In fact, with the iPad being deployed or tested by 94% of the Fortune 500s and 75% of the Global 500s, it’s clear that there’s a compelling business use case for iPads. Quickoffice Pro HD ($19.99)- A truly robust office suite, QuickOffice Pro HD lets you create and edit Microsoft Office documents, spreadsheets, and presentation formats right on the iPad. A better option if you’re in an Office environment than Pages. LinkedIn (Free)– A simple way for salespeople to stay connected and share content with their networks no matter where they are. The LinkedIn app allows you to sync your calendar to acquire profile information about those you intend on meeting with, and of course, stay up-to-date with members in your network and the groups you’re part of. Dropbox (Free)- Dropbox is essentially an external drive for your iPad. Keep any and all important items in your Dropbox folder for easy access on the go, and your iPad’s usefulness increases significantly. Cisco WebEx Meetings (Free)– In case you didn’t know, the popular screen sharing service works for the iPad too. Once downloaded, mobile salespeople can attend meetings online from their tablets, view presentations and reports, ask questions, share the screen with others, view attendees, and so on. Skype (Free)- Great for video conferences or one-on-one calls, Skype has long been a champion of VoIP. Use it in conjunction with QuickVoice to record your calls and have them handy for later review. Alarm Clock Pro HD Pro ($0.99)- Just in case your smartphone (or the hotel wake-up call) fails you, it’s never a bad idea to have Alarm Clock Pro HD Pro installed on your iPad. Flipboard (Free)- Keep tabs on current events and your social life– all in one place. Aggregate blog posts, social networking feeds, images, video, and articles into an impressive layout that replicates the print reading experience—and essentially puts traditional RSS readers to shame. TripIt (Free)- Access all of your trip reservations in one place – including air, hotel, entertainment and much more. The application also gives you access to mapping features along with GPS-enabled driving directions, airport information, and even seat assignments. Pandora (Free)- You are stuck in a new city and are not quite familiar with the local radio stations. Fear not! Pandora Radio is not only easy to use, but it’s also good at helping you discover new artists based on your musical taste. Download it and start creating stations as soon as possible. Also, most rental cars now come equipped with Bluetooth® technology, making it super easy to hook up your iPad to the speaker system. Yelp (Free)- If you want to know where the locals eat, this is your “Go-to” app. Yelp lets users review local business and services and allows you to sort them depending on your needs. Weather Channel (Free)- Plan ahead and be prepared with the Weather Channel app for iPad. It combines interactive and beautiful imagery with detailed weather reports. What about you? 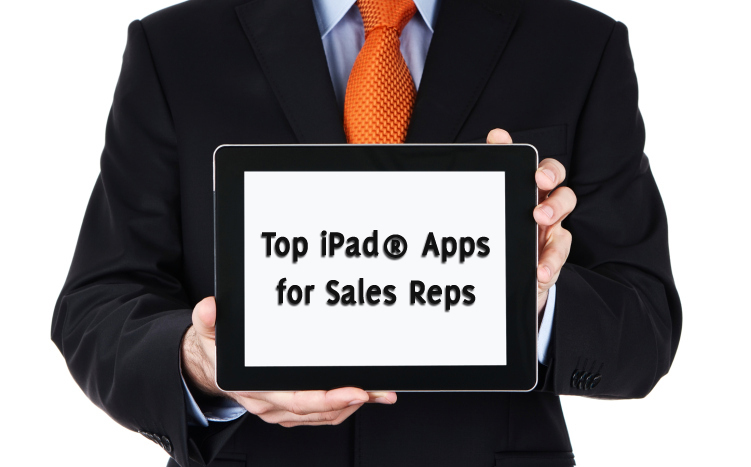 Which iPad business apps can you not live without? Sound off in the comments and share your favorites!